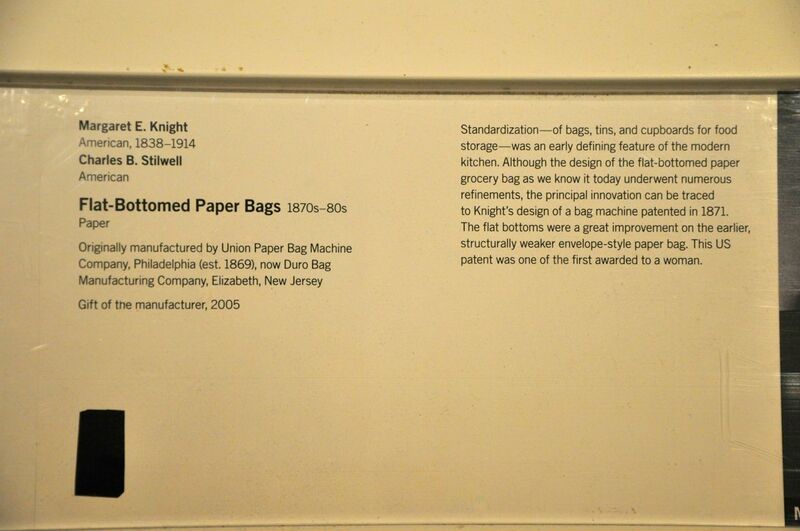 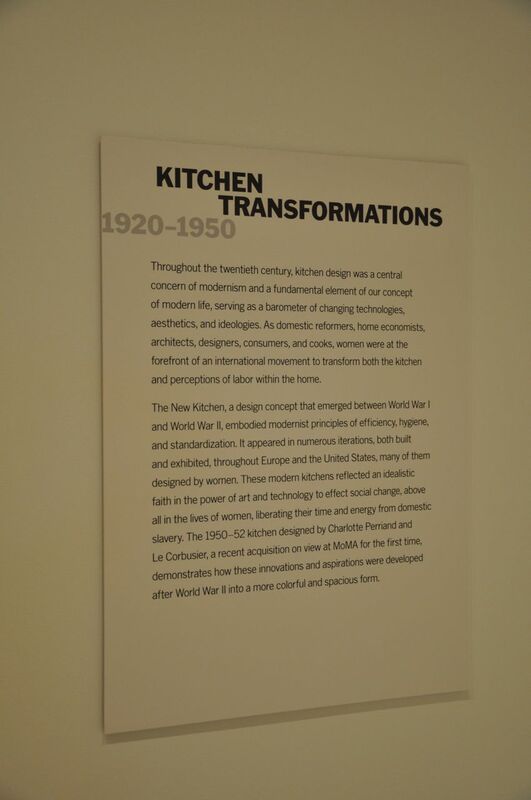 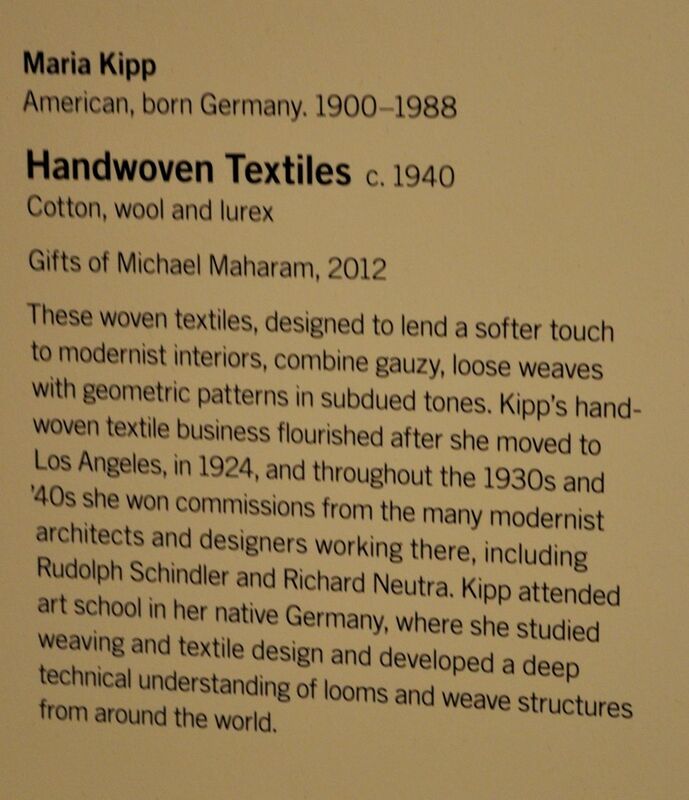 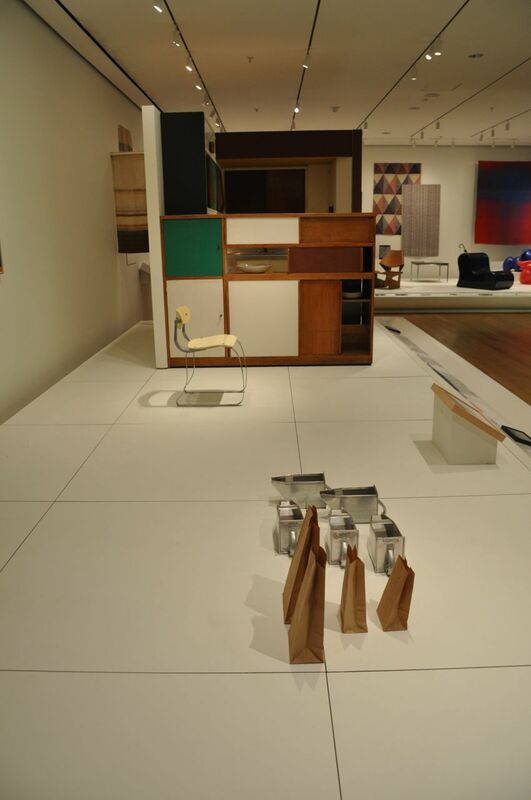 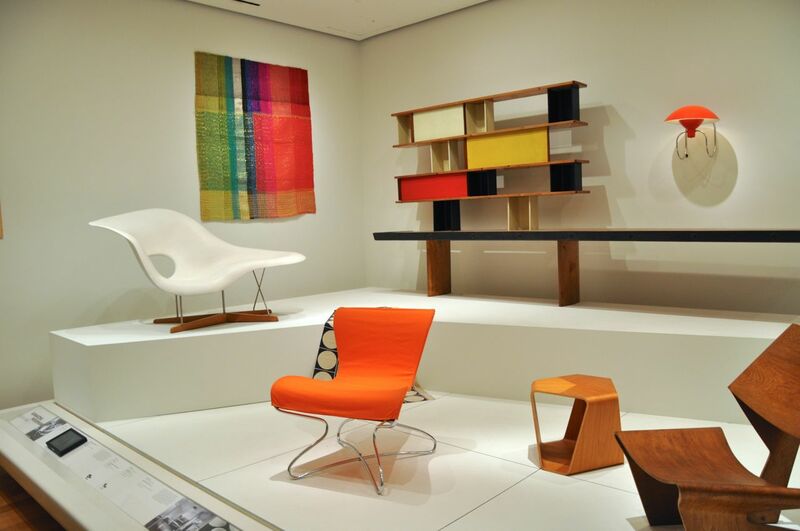 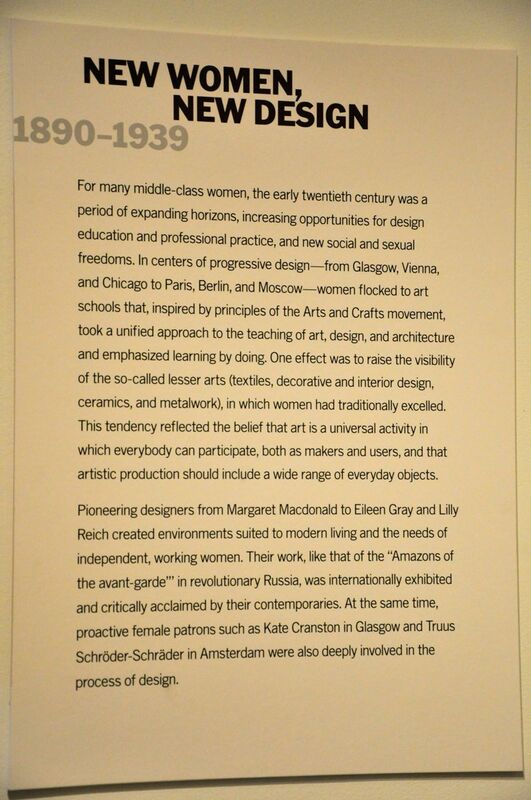 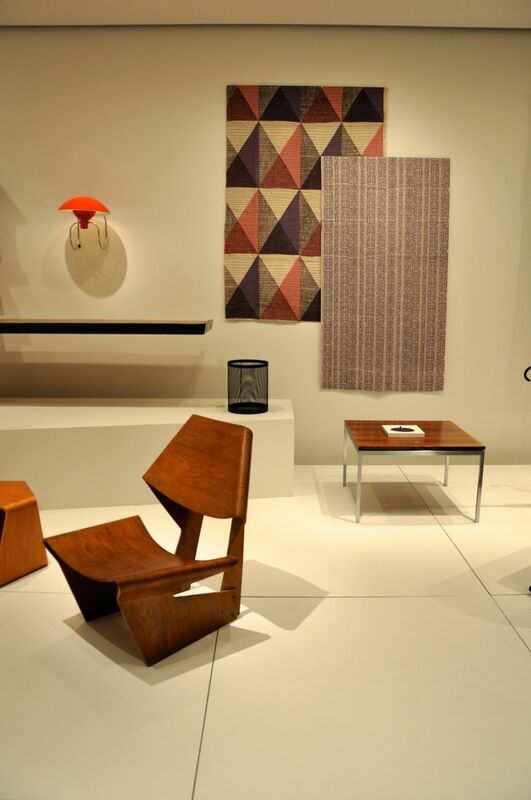 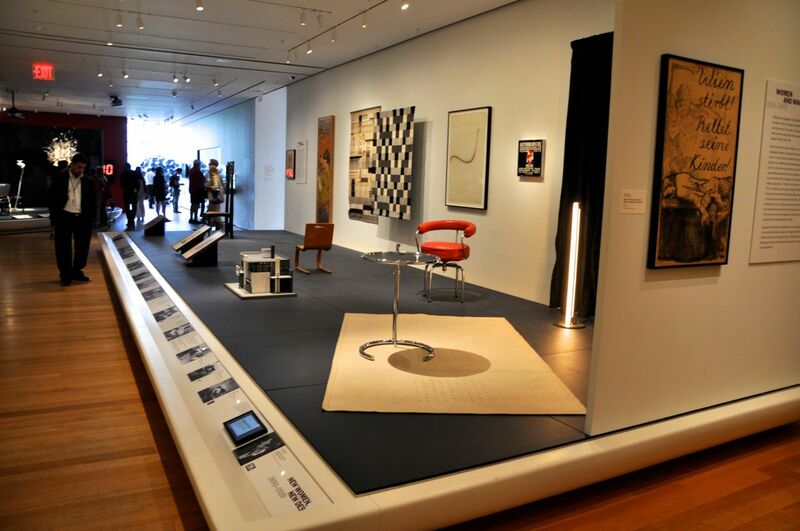 I was keen to see the textile pieces and design works held at MOMA. 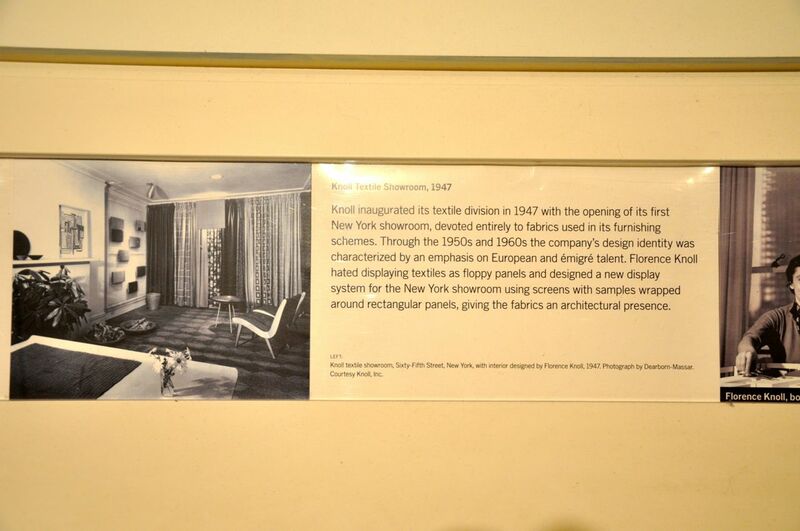 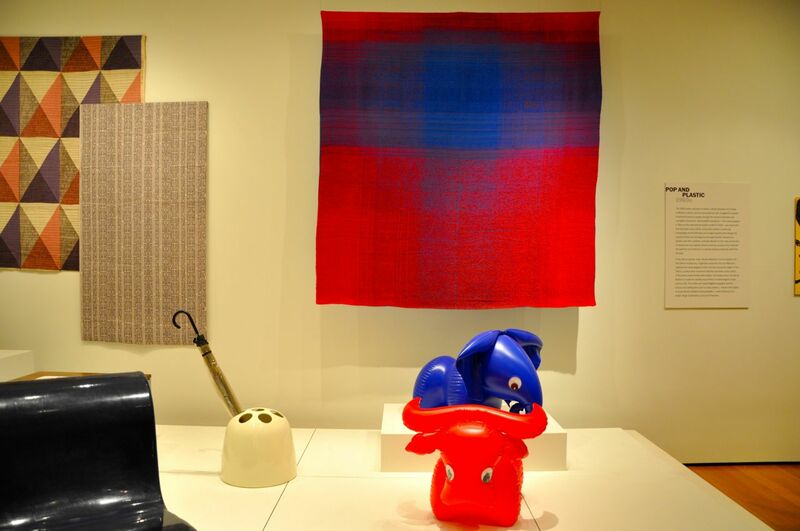 Next to the contemporary design gallery with pieces including Thomas Heatherwick’s spin chair, there was a special gallery displaying works made by women predominantly relating to design for the domestic setting. 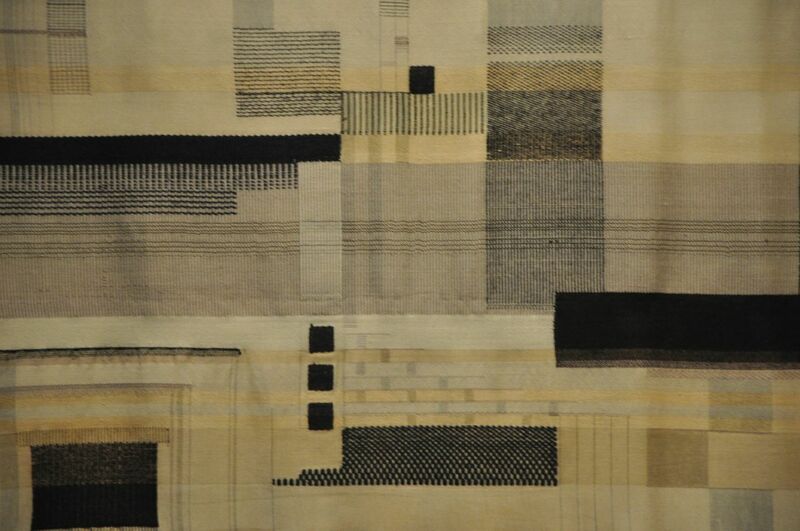 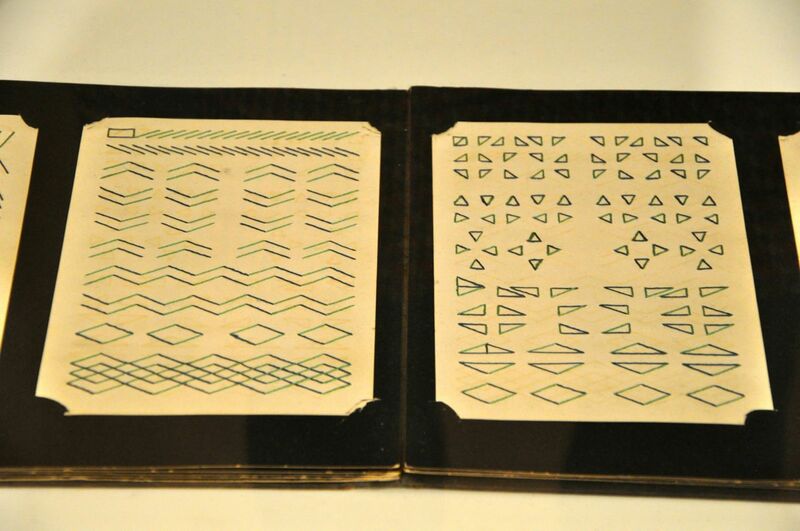 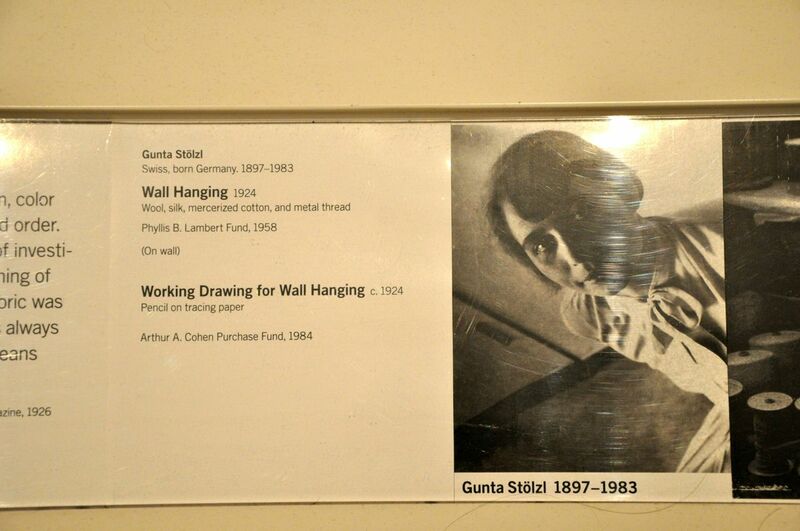 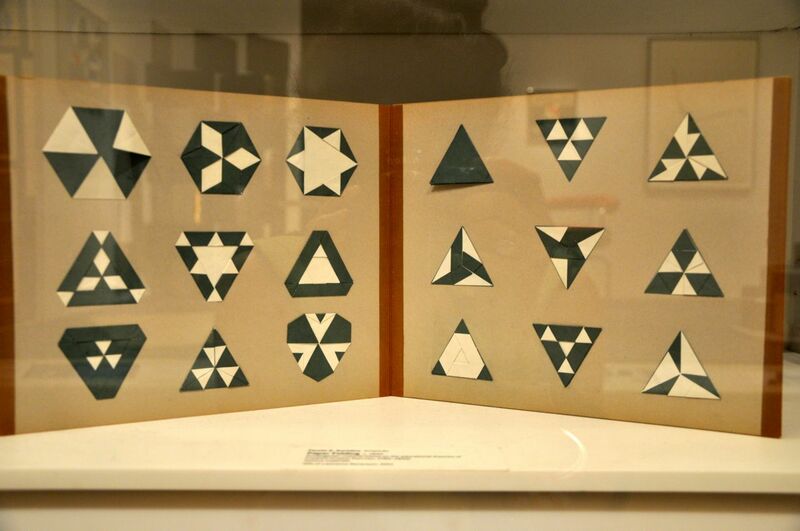 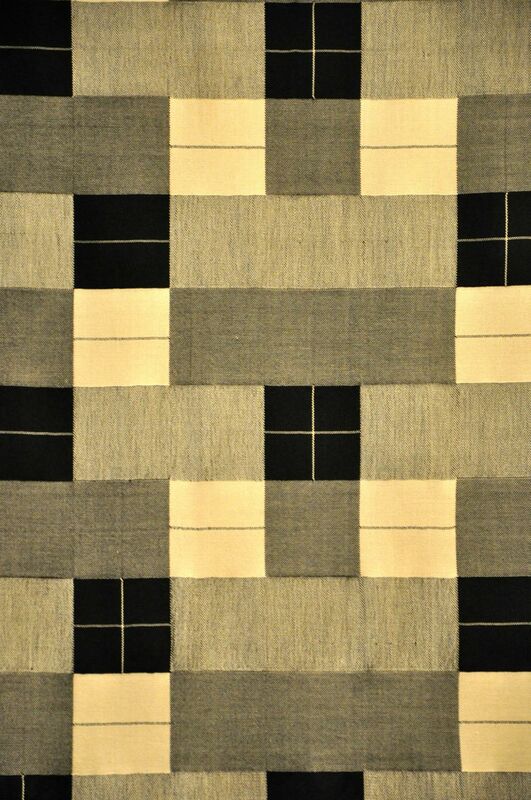 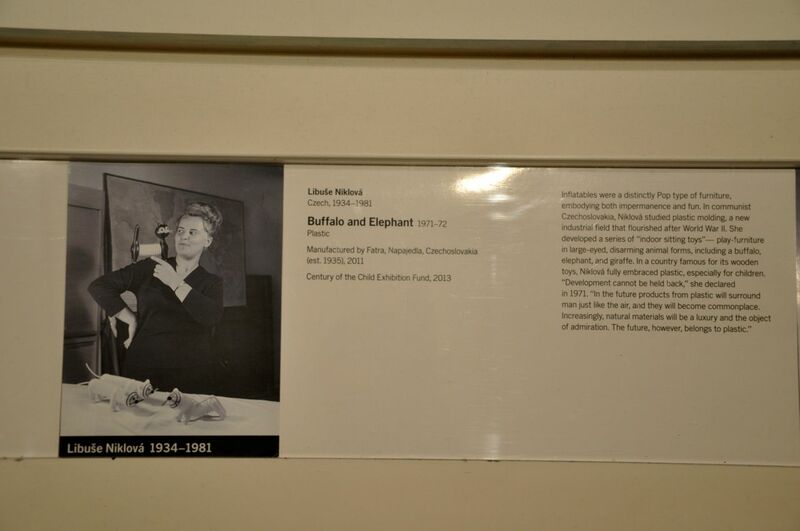 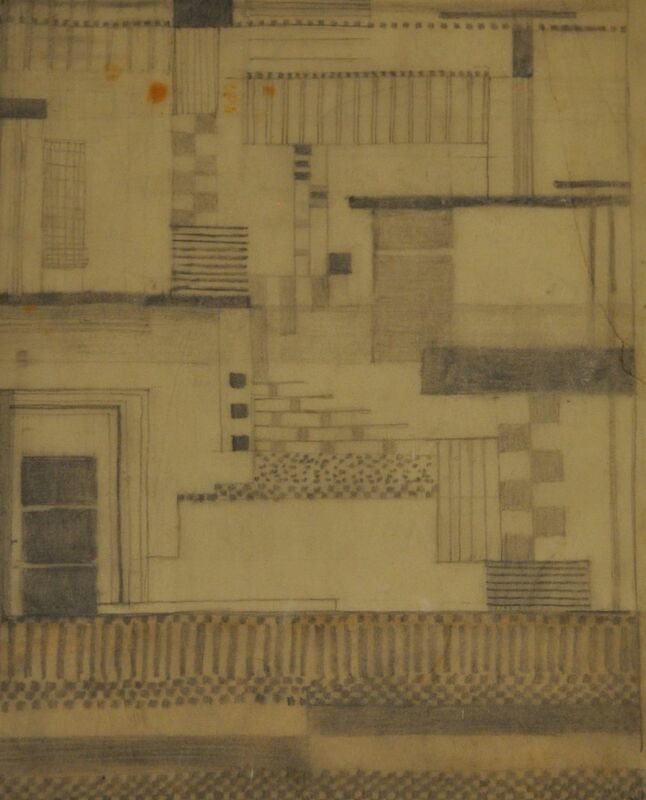 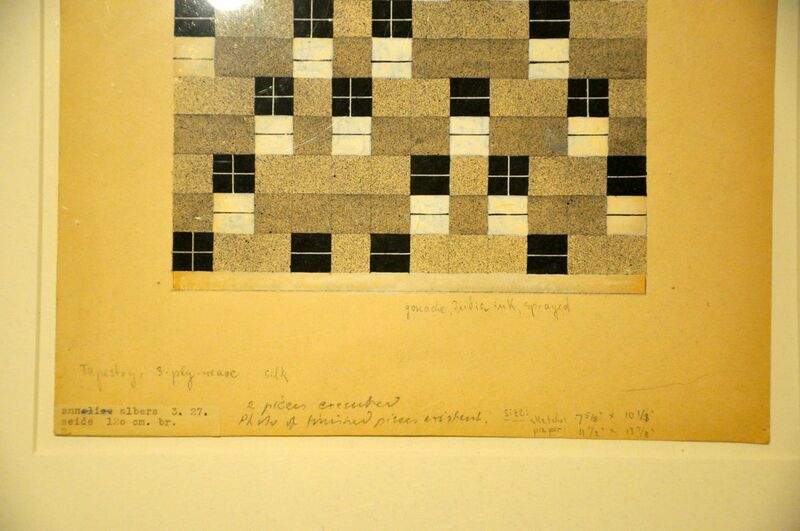 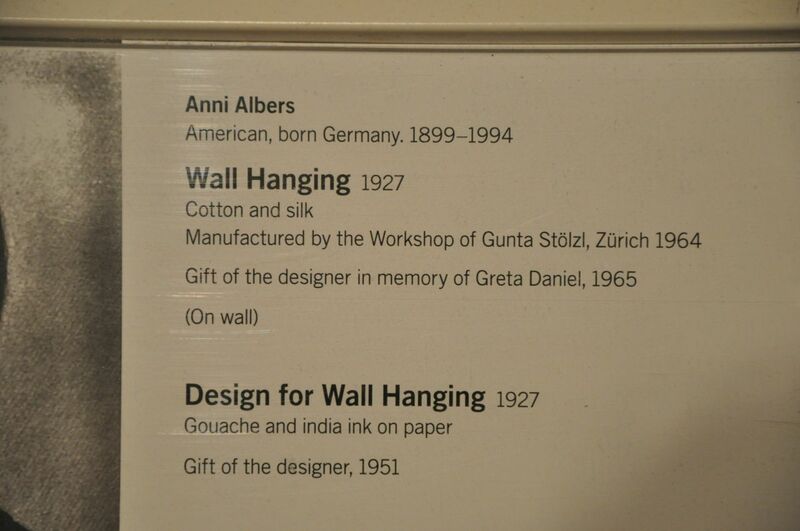 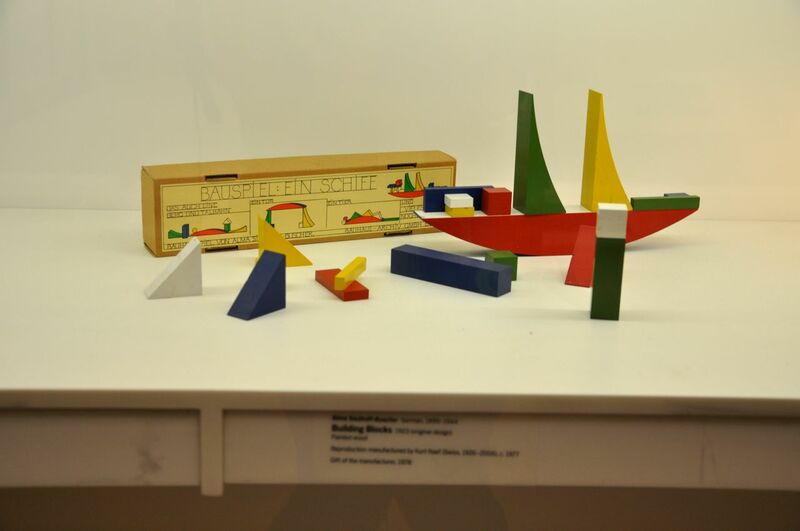 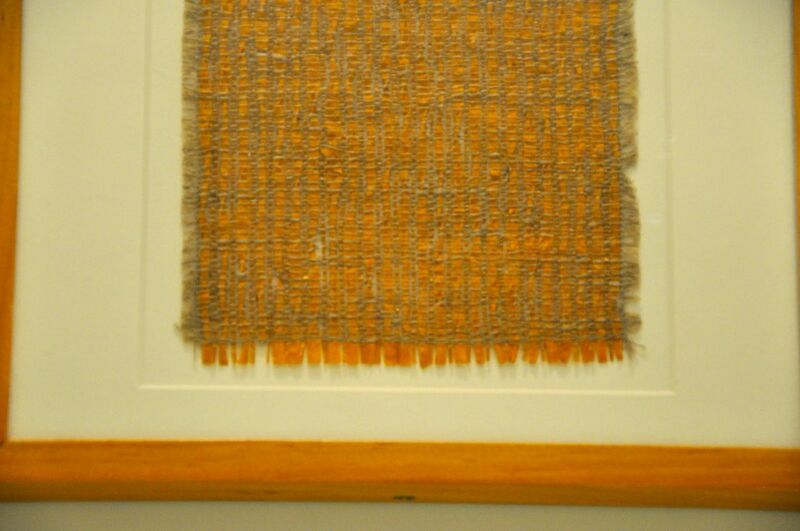 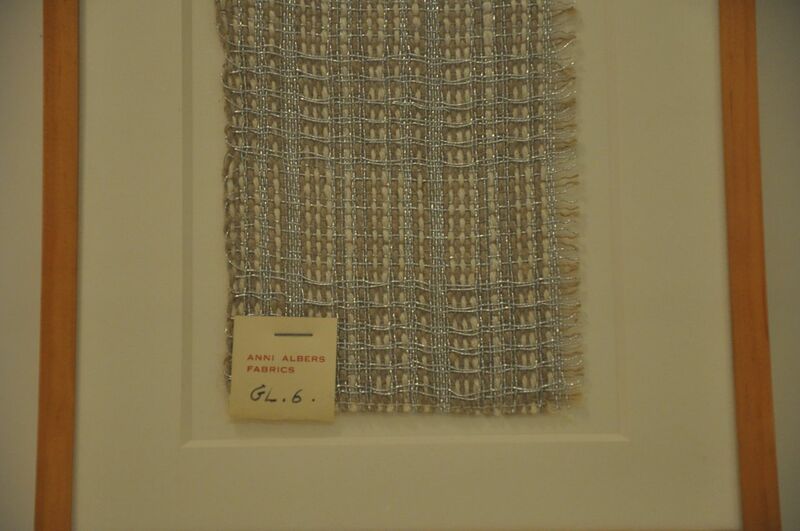 There were works by Bauhaus master Gunta Stolzl alongside pieces of Anni Albers. 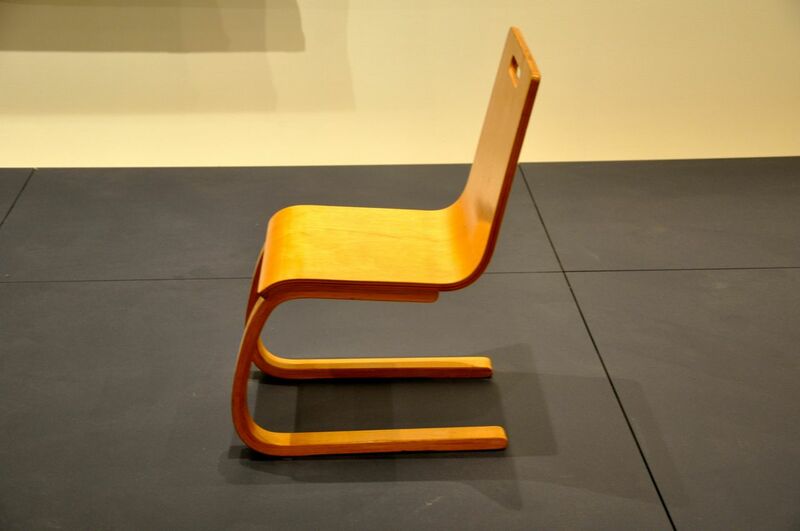 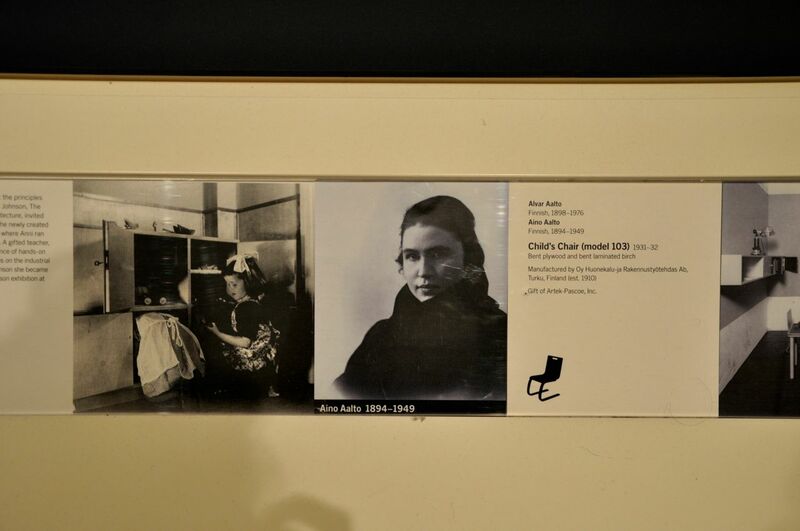 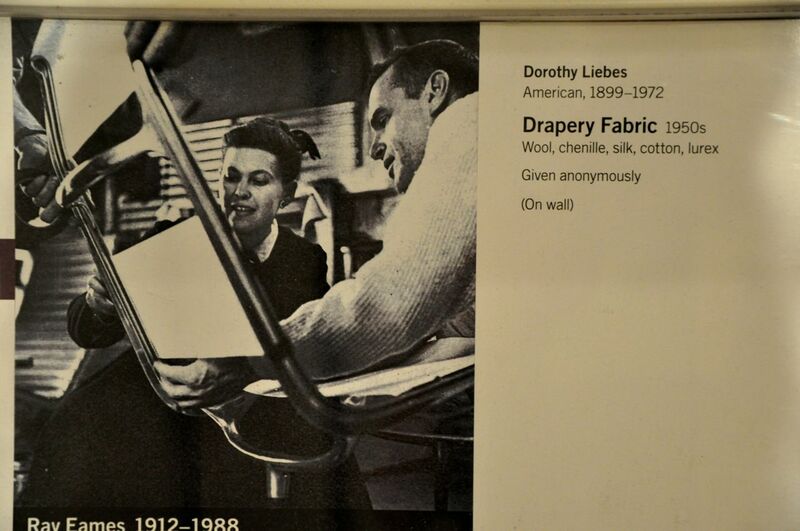 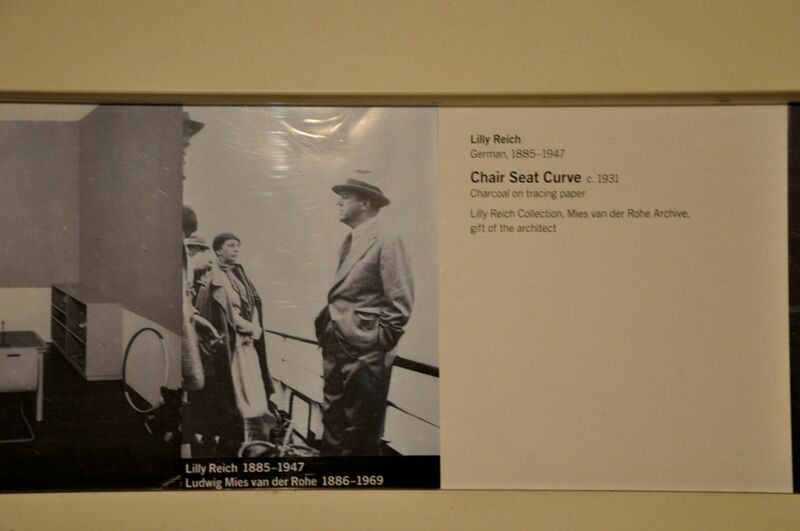 Women designers and pioneers, some of them perhaps known better for their relationship with their famous partners: Aino Alto, Lilly Reich, Ray Eames. 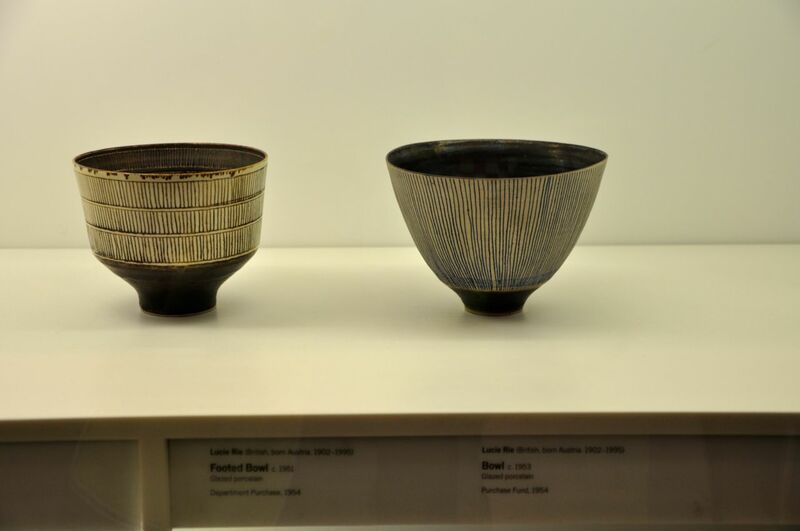 In a cabinet there were works by ceramicist Lucie Rie alongside textile pieces by Sheila Hicks and horsehair drawings by Pierette Bloch. 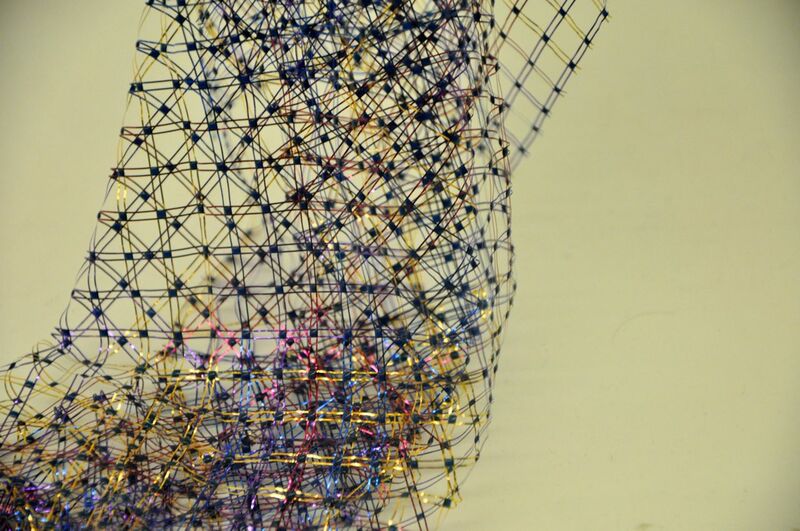 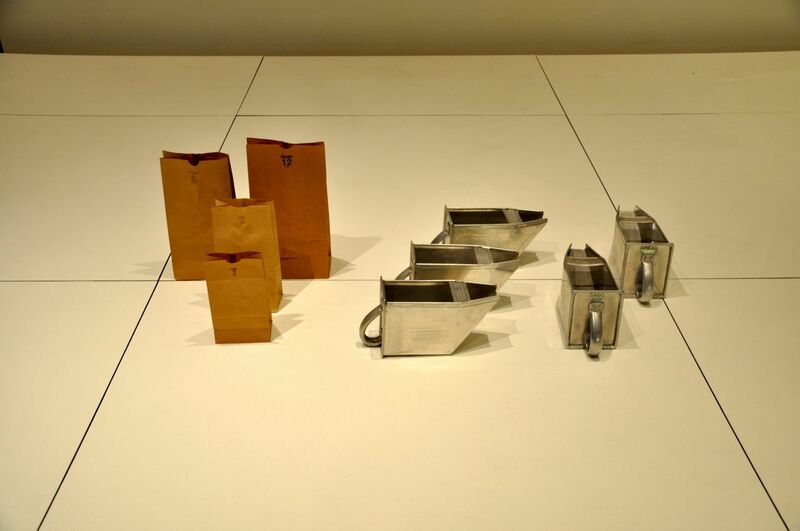 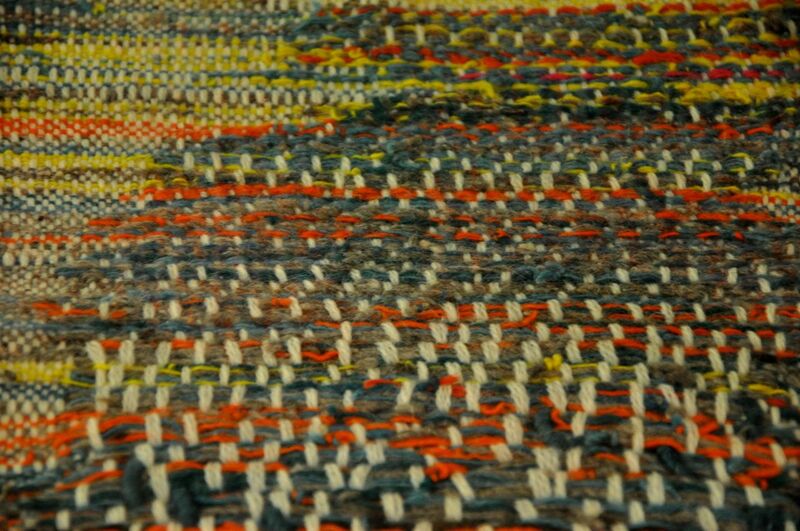 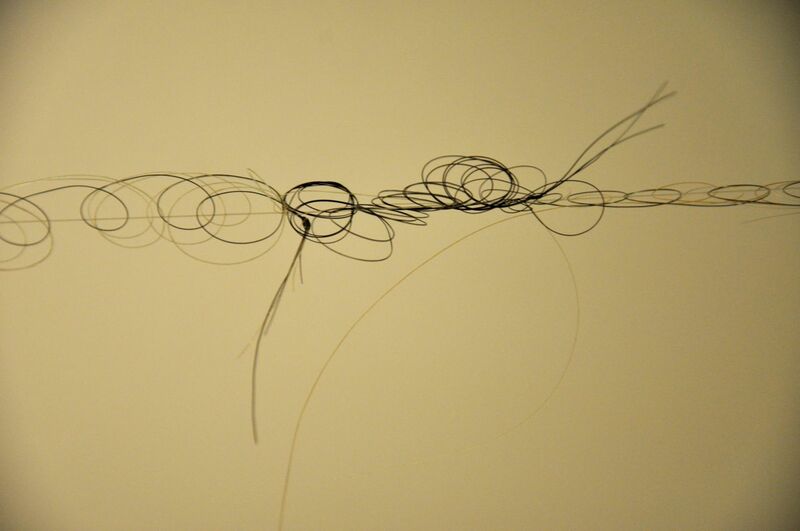 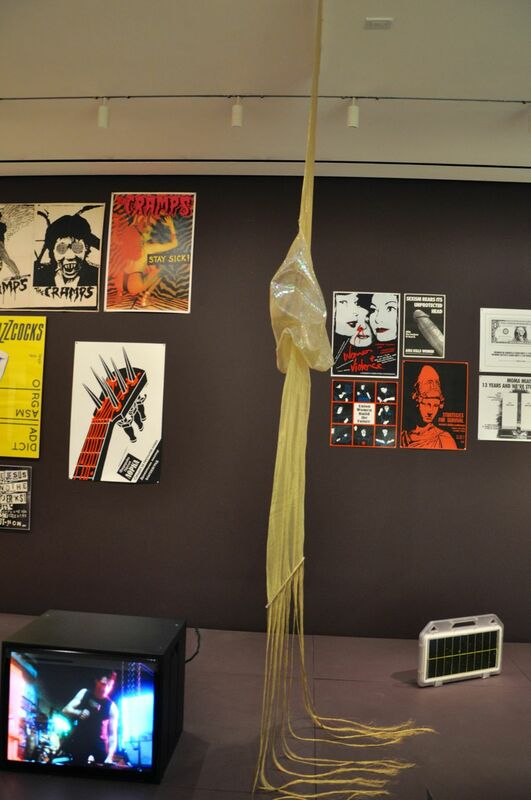 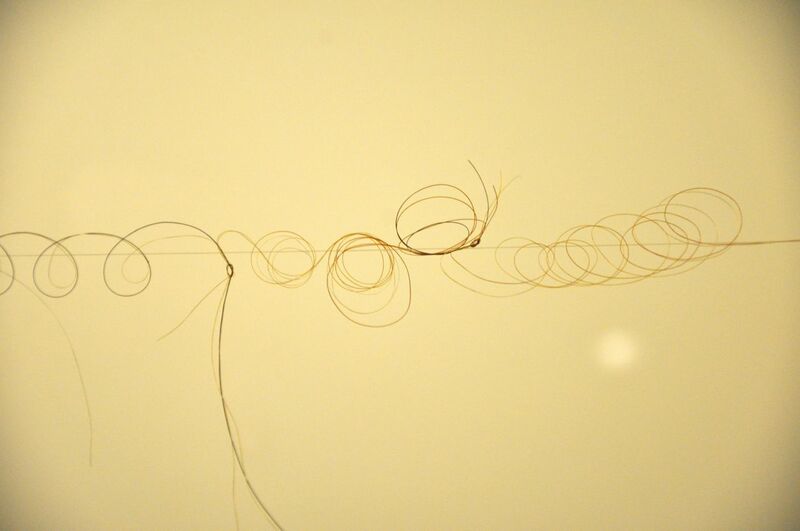 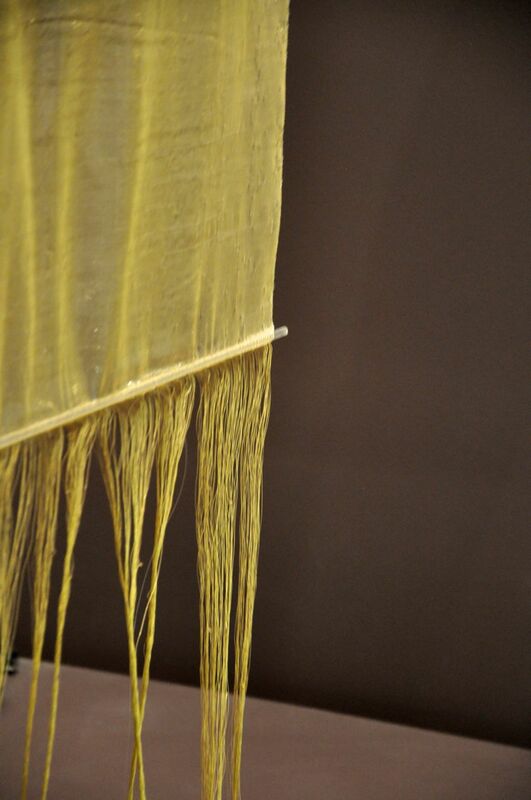 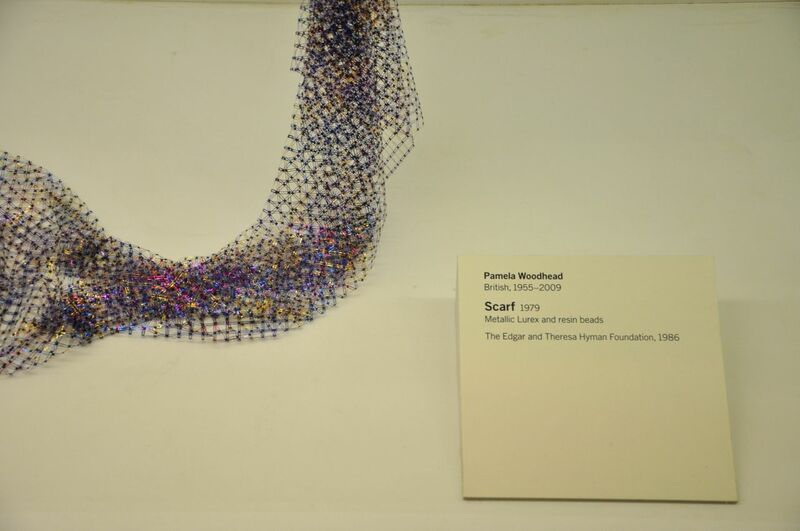 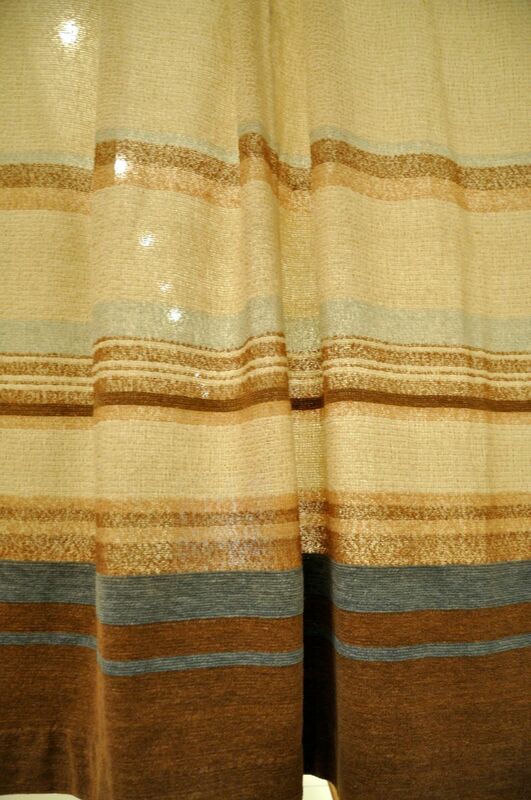 I was interested to see how distinctly these works were exhibited and communicated and what this means for contemporary artists and makers working with weaving or textiles. 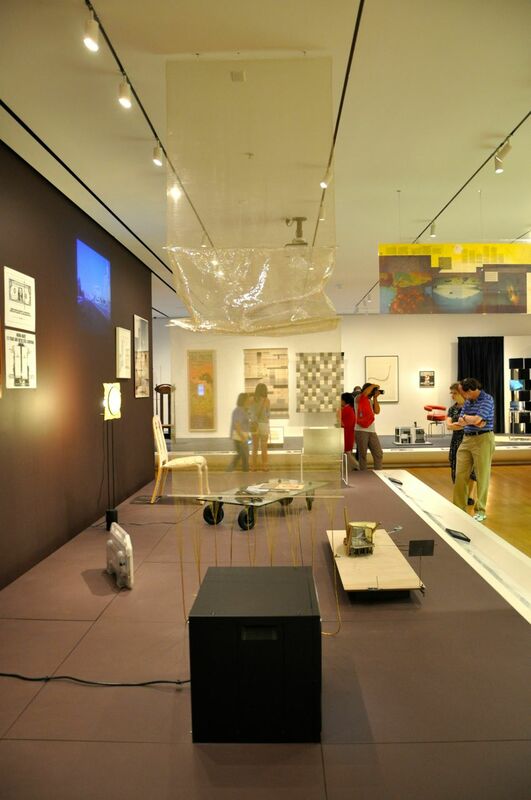 The works were displayed either set behind glass or in a ‘living room’ setting unfortunatelly not allowing access and therefore making it impossible to see the work from close proximity. 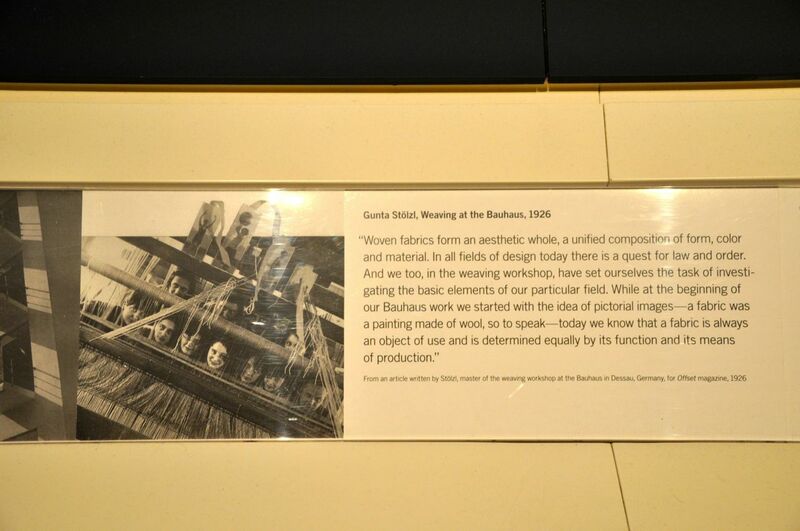 Even the experience of the viewer is a stark contrast to the experience of looking at the paintings and sculptures in the other galleries, where no barriers are between the viewer and a Rothko painting, allowing the viewer to experience the materiality of the works. 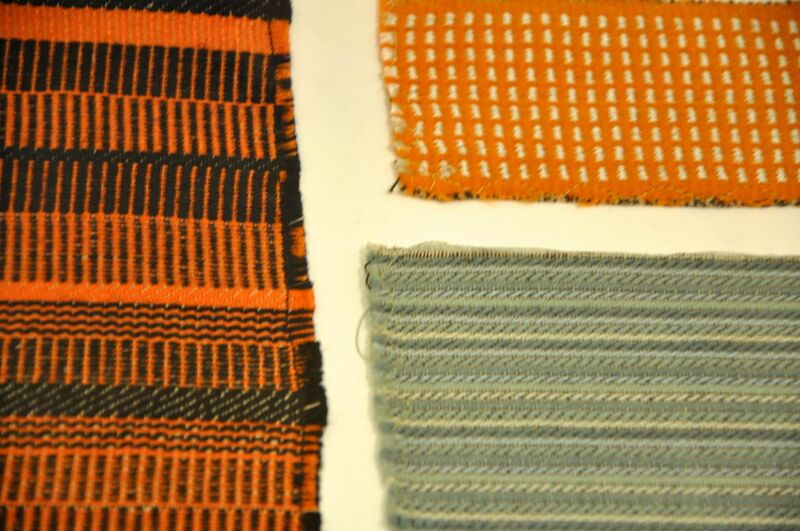 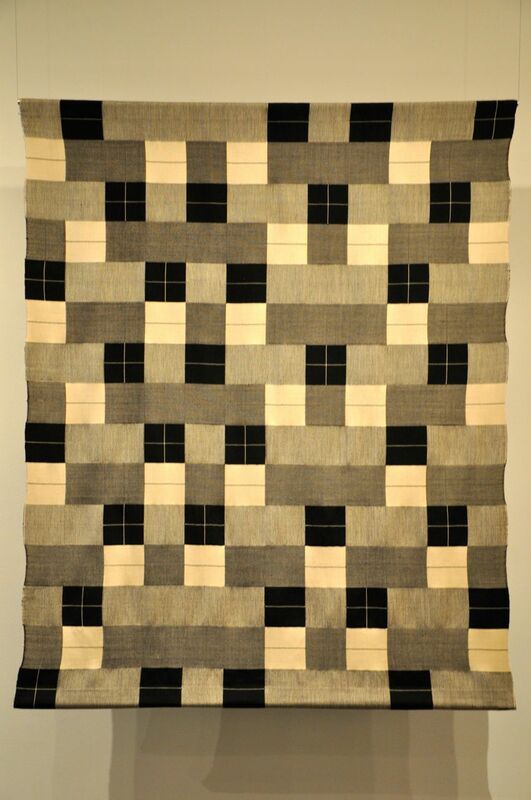 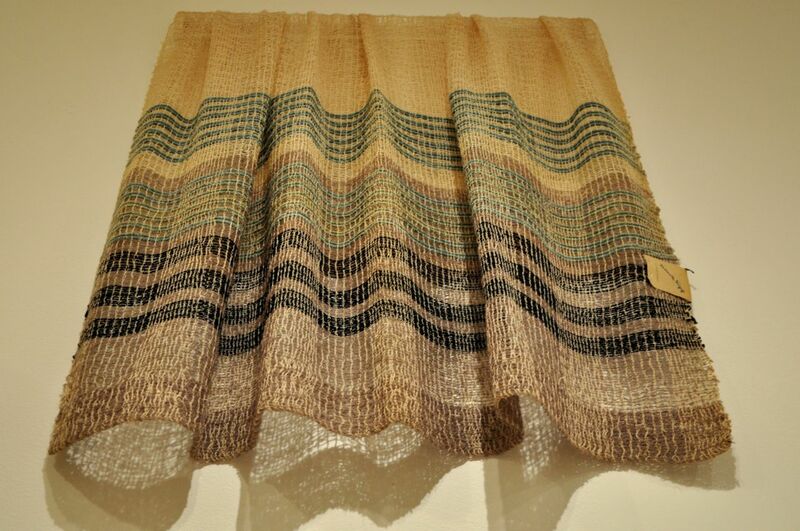 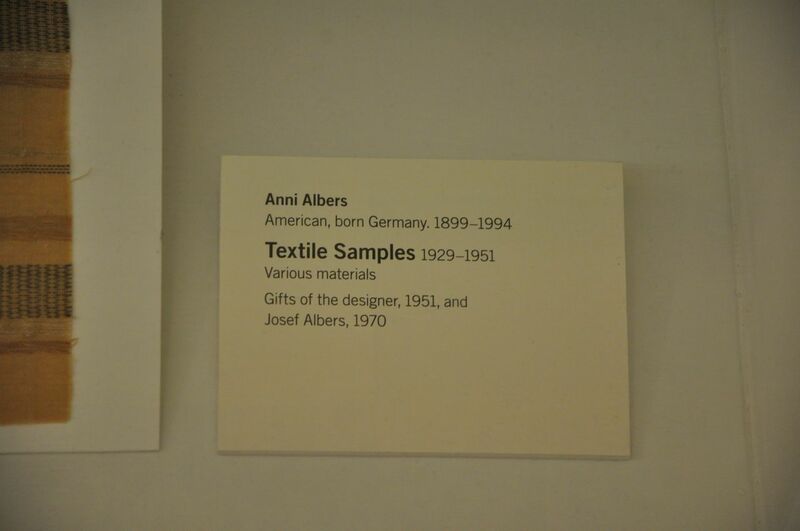 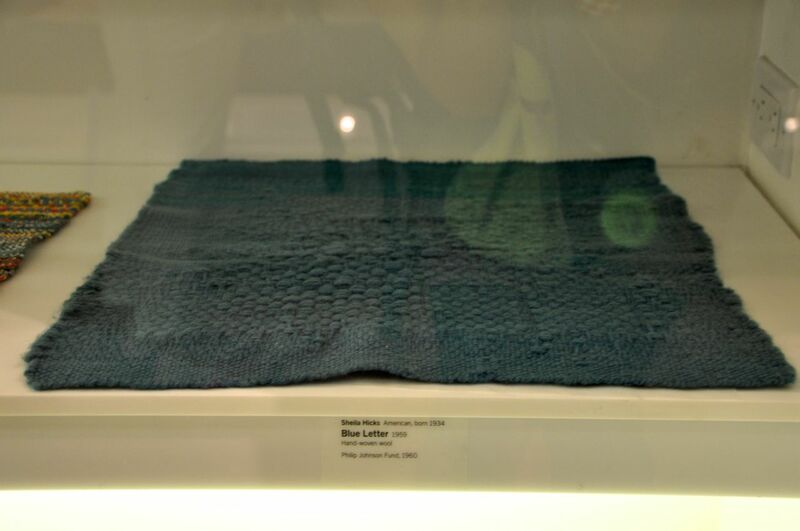 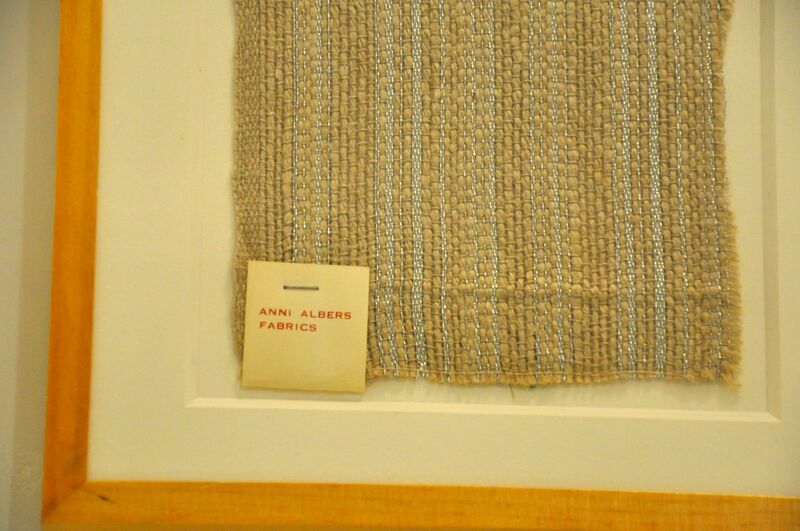 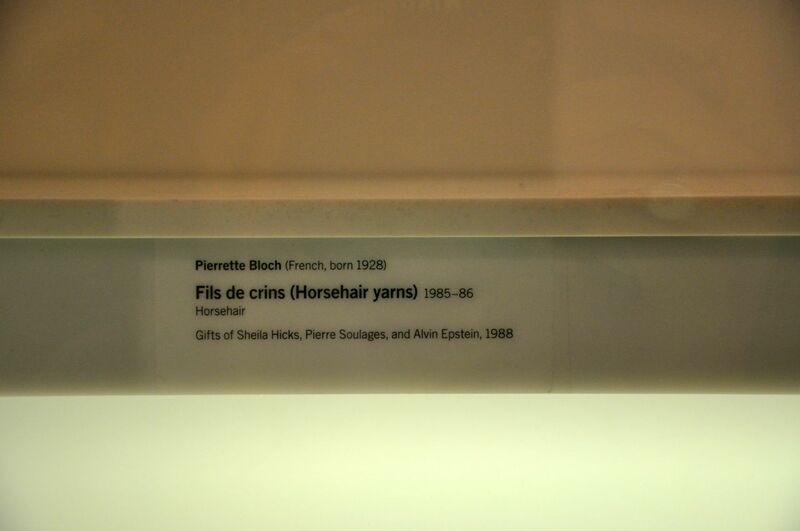 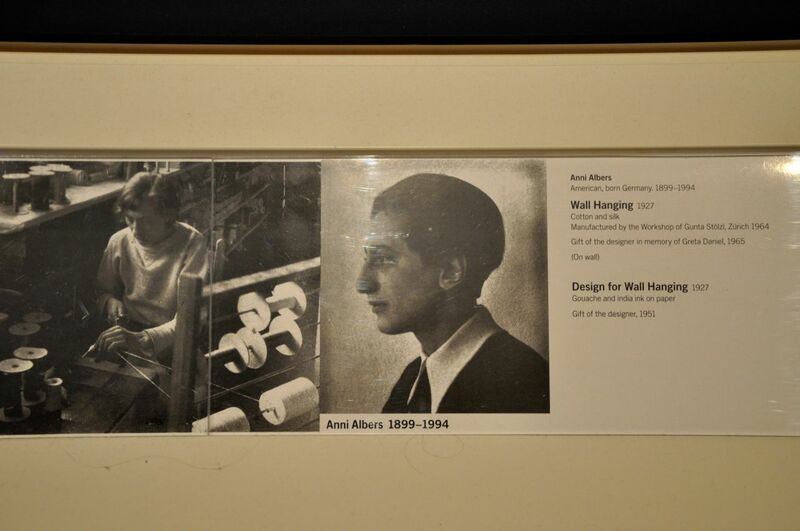 Anni Albers had a solo show at MOMA in 1949 and she remains the only weaver to be given a solo exhibition in the museum. 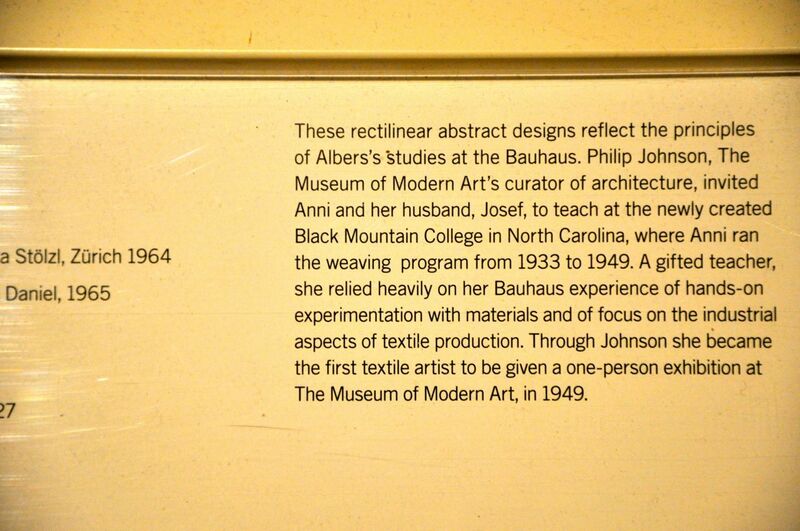 Philip Johnson, architect and founder of the department of Architecture and Design at MOMA was a big admirer of Anni’s work and was instrumental in both bringing her and Josef to the US to work at Black Mountain and in supporting her work with textiles. 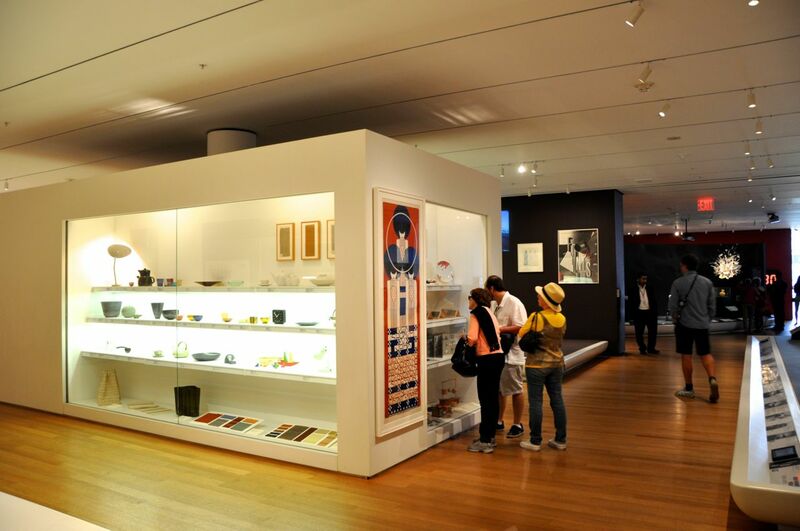 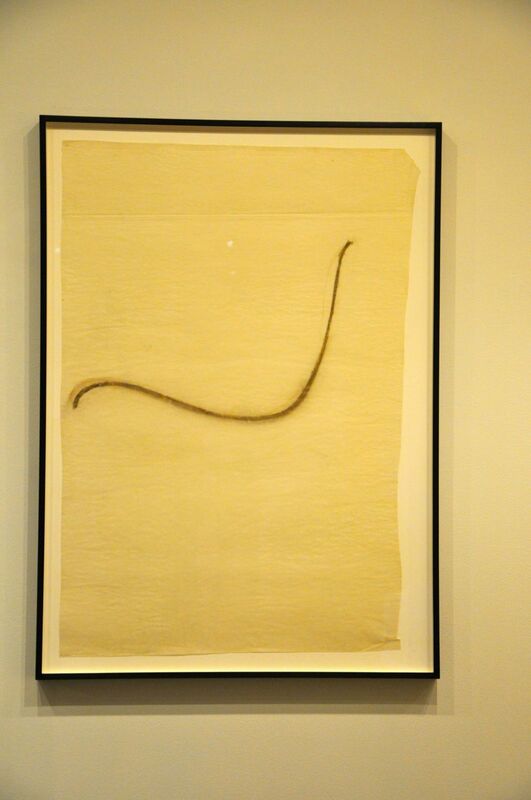 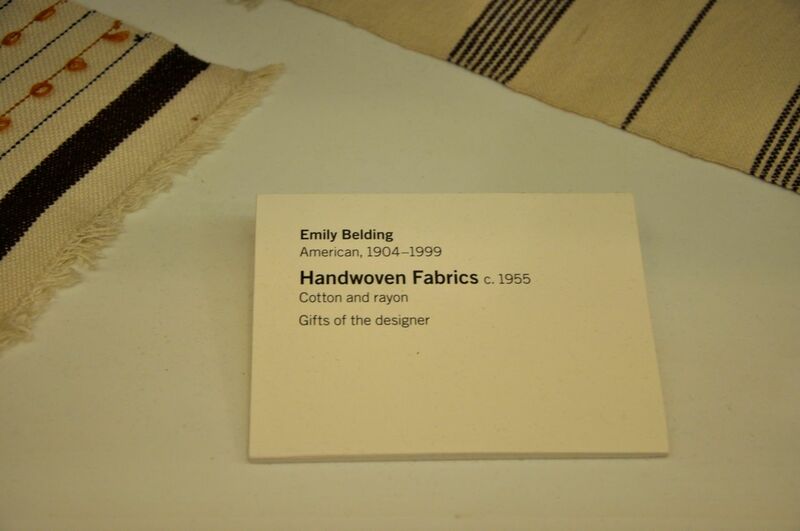 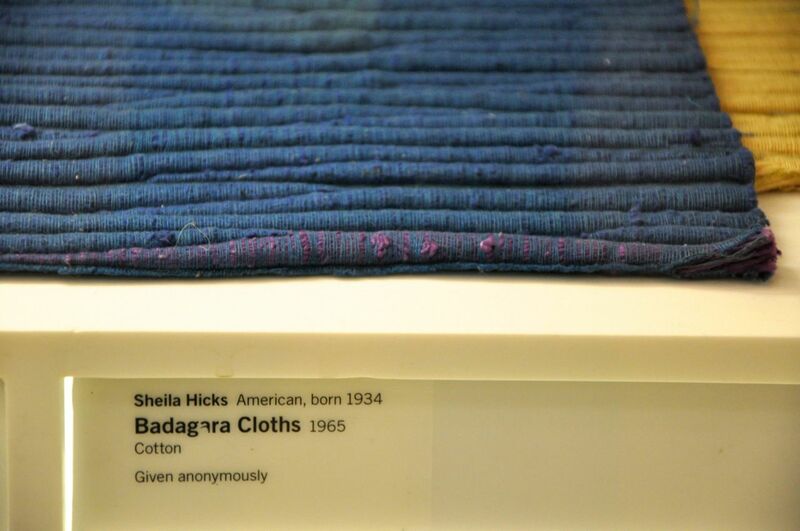 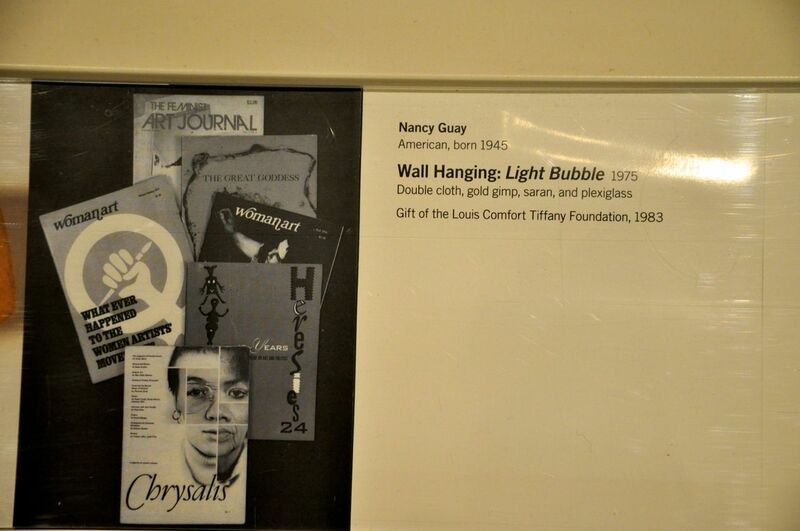 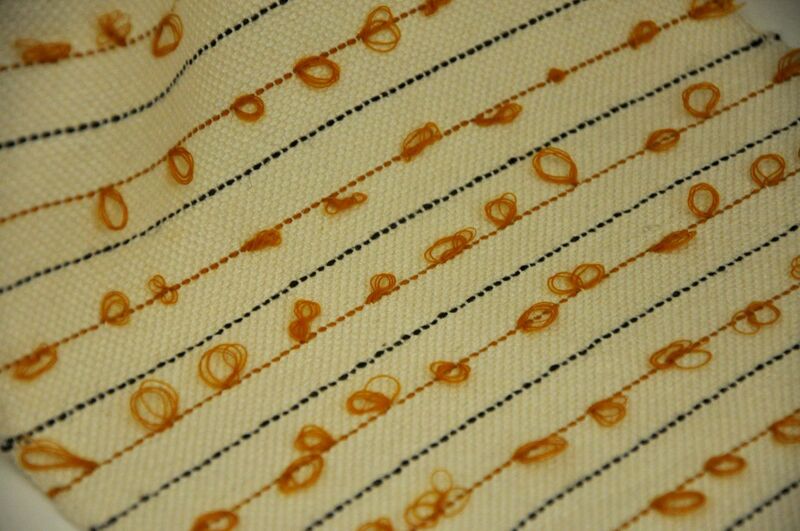 The museum holds an extensive collection of her textile pieces and drawings.